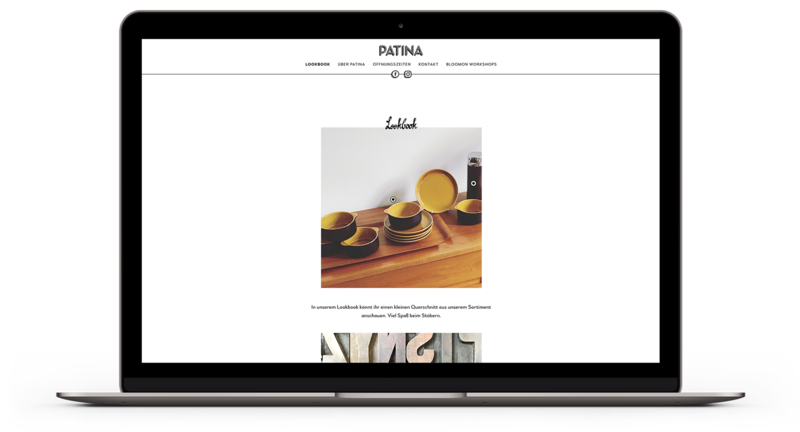 Patina is a store in Wuppertal that sells vintage furniture and objects. The store is owned and entirely managed by Hanna Hüttepohl, and benefits from Hanna’s good taste for decorating it and talent finding gems. We developed a simple design concept and a customized stock management system integrated with the CMS. We created a lookbook system which replaced the need for a full-fledged online shop. 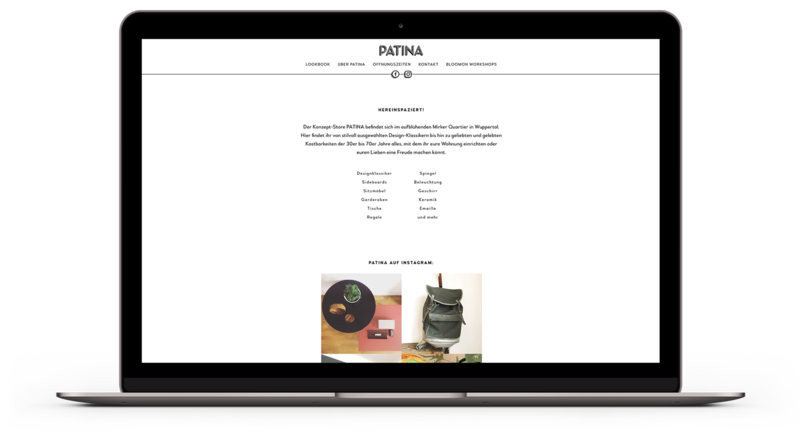 We also set up a simple integration for Instagram, a platform that has a central role in Patina's communication strategy, and referred to it visually by using square images throughout the website.